18 Bowery: Landmarked in 1966! Mooney House was built for Edward Mooney, prominent in the local butchering trade of the period. This NR-listed NYC Landmark is considered the oldest extant brick townhouse in New York. Three-and­ a-half-story rowhouse, restored to reflect its original period of construction. Flemish bond brickwork. Nos. 14 and 76 Bowery are similar but altered versions of this type and period. 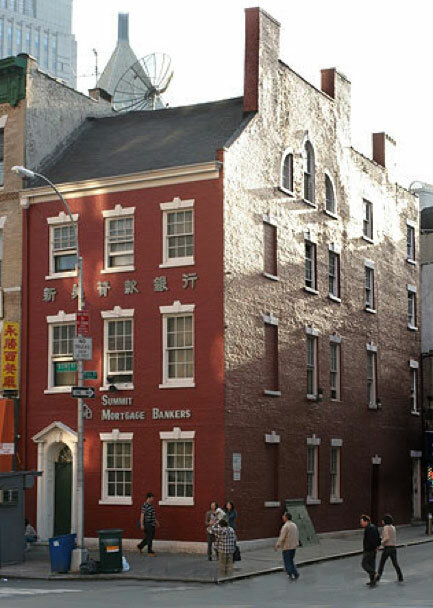 Legendary Bowery Boy Chuck Connors the self-described “Mayor of Chinatown”, lived here and made headquarters at Barney Flynn’s roughneck saloon downstairs. 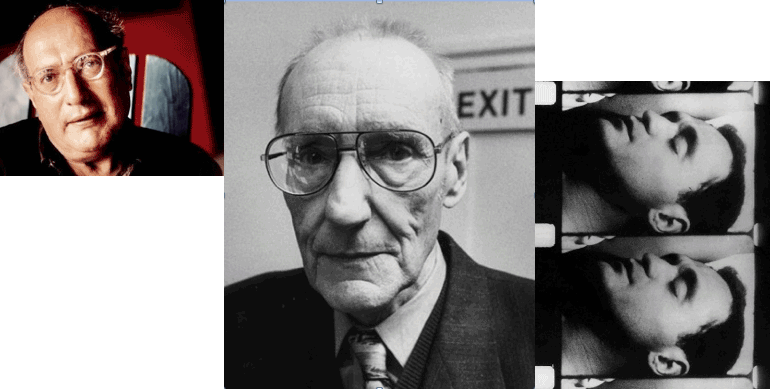 His staged-to-shock tours of Bowery and Chinatown started here. According to songwriter Irving Berlin, it was Connors who walked him up Pell Street and helped get him a singing waiter job at the Pelham Café. Berlin wrote his first song there. 54-58 Bowery — CITIZENS SAVINGS BANK: Landmarked in 2011! 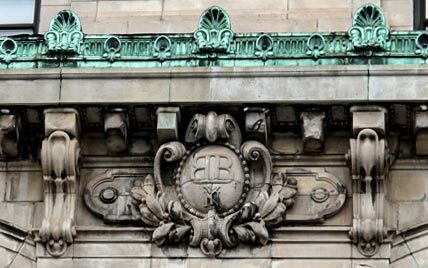 The Citizens Savings Bank is a fine example of the Beaux-Arts style bank building of the late 19th and early 20th century. Brazer’s restrained interpretation of classical precedents conveyed a sense of financial strength and stability while not overwhelming the bank’s depositors. 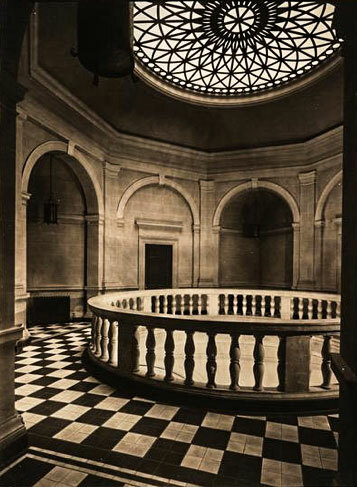 Four monumental arched windows (one now infilled) provided natural light to the banking room. The street facades have Renaissanceinspired rusticated bases above which the windows are enframed by paired pilasters supporting an entablature in the Roman Doric order. Above the banking room an octagonal clerestory surmounted by the bank’s signature dome (reroofed in aluminum) denotes the transition from public to private space. 97 BOWERY: Landmarked in 2010! The 97 Bowery Building is a five-story, 25-footwide, early Italianate style, significantly intact, cast-ironfronted store-and-loft building. Built in 1869 for John P. Jube and designed by architect Peter L.P. Tostevin, the building was occupied until 1935 by John P. Jube & Co., a hardware and carriage supply business. 97 Bowery was built in a time when the Bowery was the major thoroughfare through the Lower East Side and a major commercial street with specialty shops, drygoods stores and fancy hardware businesses. 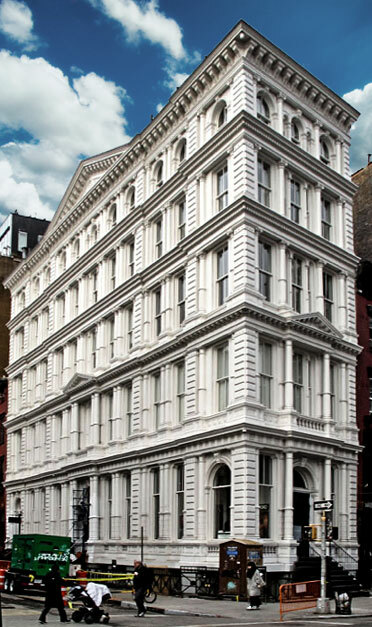 The 97 Bowery Building is typical of commercial cast-iron construction during the 1850s and 1860s; and it is likely that various elements of the design were selected from a catalogue of standardized cast-iron components. 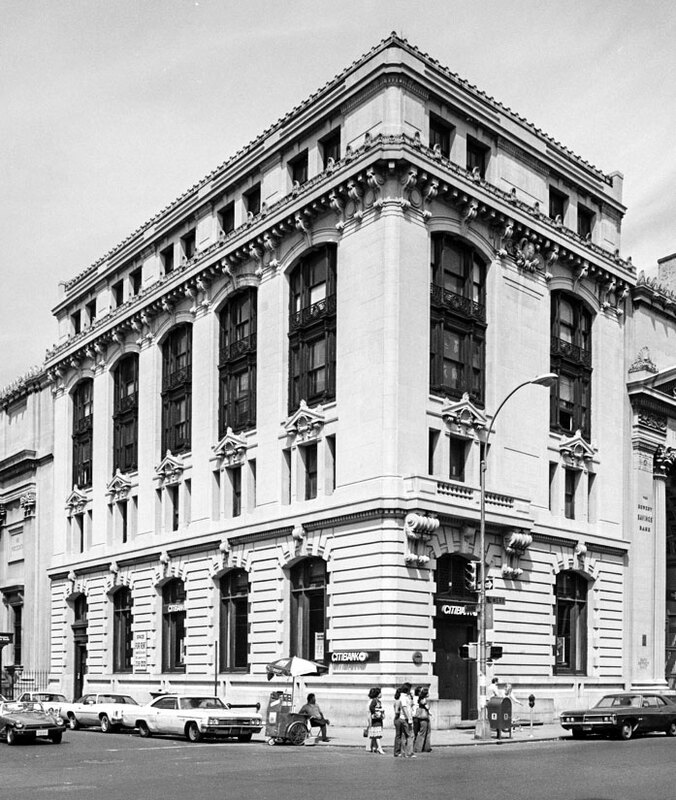 Notable design elements include the Corinthian columns supporting arches as well as a classical cornice with a segmental arched pediment and acanthus modillions and studs, and spandrels similar in design to the spandrels of the former McCreery’s Dry Goods Emporium at 801 Broadway (cast by J.B. & W.W. Cornell Ironworks). 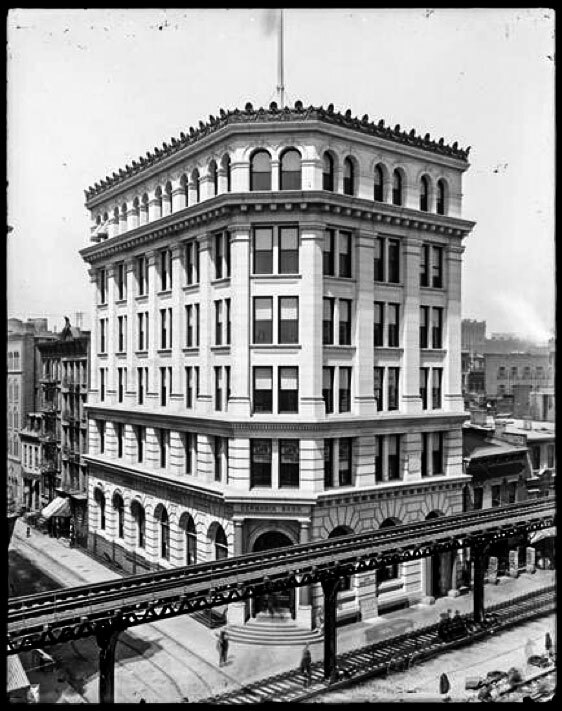 The design features of 97 Bowery are similar to several other significant cast-iron buildings, such as the “Thomas Twins” at 317 Broadway (demolished) and 319 Broadway (1869, David & John Jardine), and the Haughwout building (1856, John P. Gaynor). Today, 97 Bowery remains an important reminder of the Bowery’s commercial emergence after the Civil War, and is a rare example of cast-iron architecture in this particular area of the city. 124-126 BOWERY — BOWERY BANK: Landmarked in 2012! This Beaux Arts former bank in the French Renaissance mode was designed in 1901 by the prominent architectural firm of York and Sawyer as a neighbor to the grand Beaux Arts Bowery Savings Bank, which flanks this corner on both the Bowery and Grand Street facades. 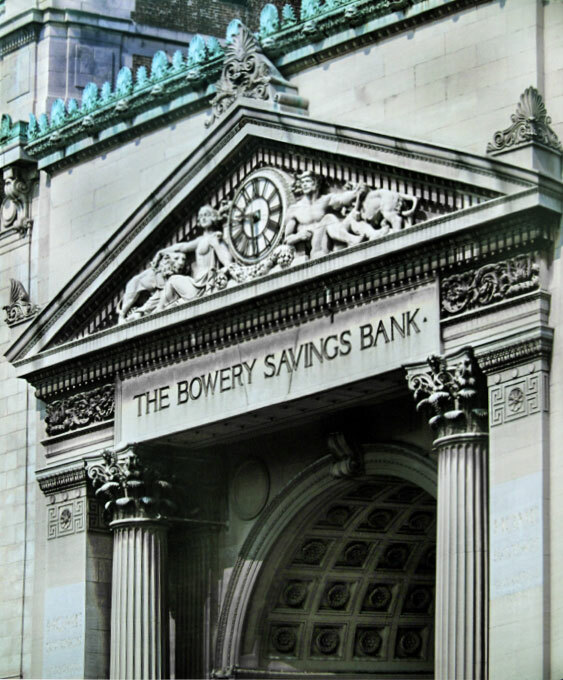 The former Bowery Bank building (not to be confused with the Bowery Savings Bank) features highly ornamented Renaissance facades with large tripartite window openings capped by pediments with acroterion returns and embellished with carved shells, triglyphs, and guttae. The windows have cast iron fluted columns and pierced iron railings suggesting balconies. A copper cornice has acanthus leaf motifs and heavy scroll brackets. A copper cornice has acanthus leaf motifs and heavy scroll brackets. 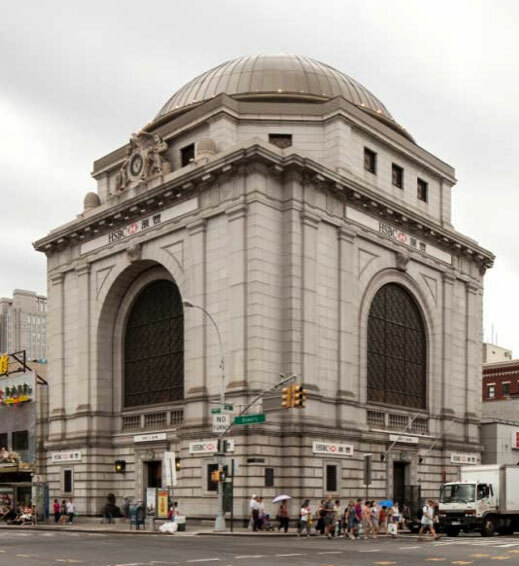 The Indiana Limestone and granite bank features a neo-Roman temple frontage on Bowery with massive Corinthian columns and a triumphal arch with a deep, coffered barrel vault. 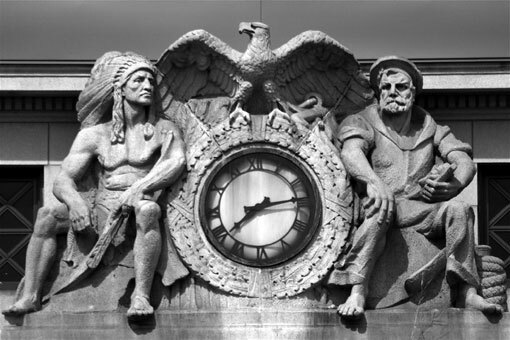 The central pediment’s clock is flanked by reclining classical figures and lions. The Grand Street façade has a sculpted pediment raised on Corinthian columns. Pediment sculptures are by Frederick MacMonnies., the Beaux Art sculptor used by White for many of his buildings. 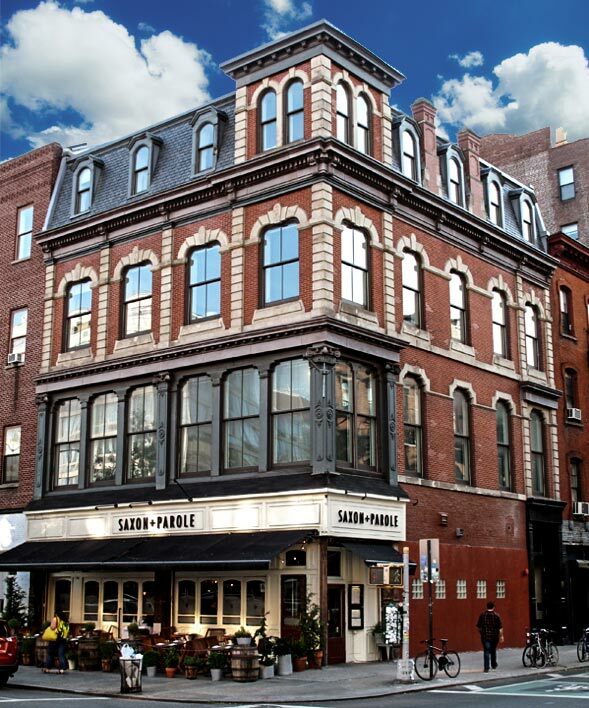 The exterior and interior designated NYC landmark is now Capitale, an event venue. 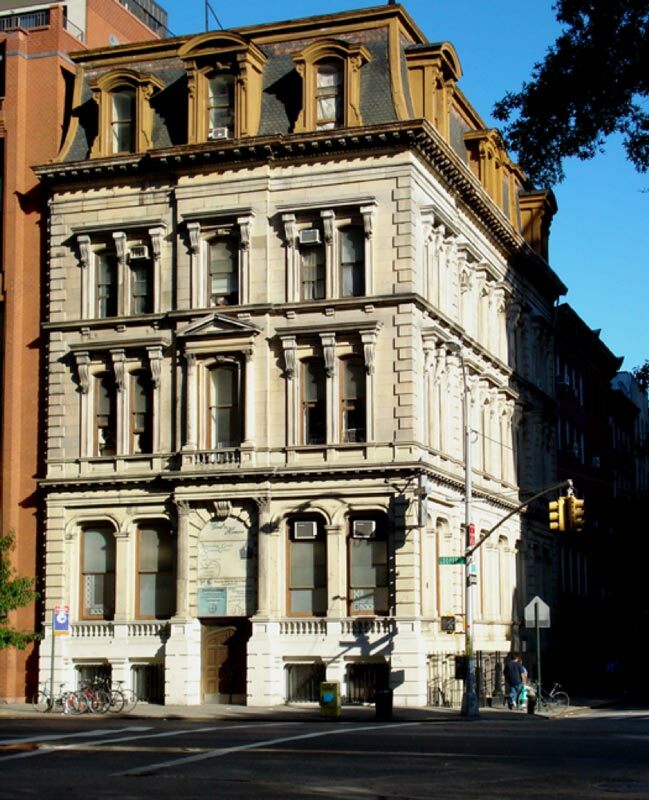 190 Bowery – Germania Bank Building: Landmarked in 2005! The granite and brick building features rusticated stonework, a chamfered corner with an arched entry flanked by Tuscan columns, and multi-story pilasters. The former Germania Bank building is an impressive Beaux Arts-style structure prominently located on the northwest corner of the Bowery and Spring Street. Built in 1898-99 to the designs of architect Robert Maynicke, it was the third home of the Germania Bank, which was established in 1869 by a group of local businessmen of German extraction. 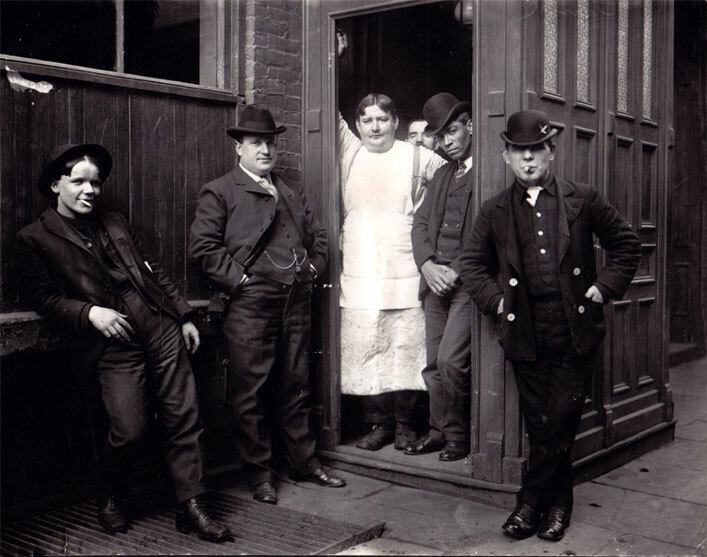 By 1840, more than 24,000 German immigrants and their descendents were living in New York City. Their numbers increased dramatically over the next two decades, resulting in the development of the area along and to the east of the Bowery above Division Street as a German neighborhood called Kleindeutschland, or Little Germany. The neighborhood became the major German-American center in the United States during the second half of the nineteenth century. German immigrants contributed greatly to New York City by establishing churches, synagogues, and other cultural organizations, as well as creating their own banking, savings, and loan institutions, such as the Germania Bank. They also opened architectural firms and construction companies. Architect Robert Maynicke, who was of German birth, attended Cooper Union, about ten blocks to the north of this building, and worked for the noted architect George B. Post before co-founding the firm Maynicke & Franke in 1895. The Germania Bank building is considered to be one of his most important designs. Marc Eidlitz, whose construction company built the bank, was also of German descent. The granite and brick building features rusticated stonework, a chamfered corner with an arched entry flanked by Tuscan columns, and multi-story pilasters. The ground floor features large arched openings with voussoirs surmounted a massive denticulated cornice. A similar cornice terminates the fifth story. The top story features paired arched openings also surrounded with voussoirs and concludes in an elaborate copper cheneau. The building’s facades are remarkably intact. 222-224 Bowery: Landmarked in 1998! organization intended to promote the physical, intellectual, and spiritual health of young working men in the densely crowded Bowery. The five-story Queen Anne style building has a largely intact façade, which is asymmetrically organized with a recessed entry at the south bay; a rusticated sandstone base with segmental arches; a mid-section featuring giant pilasters framing a double-story arcade with recessed metal-enframed windows; and a top section crowned by a slate-covered mansard roof pierced by two dormers. The larger dormer has a pediment with terra-cotta decoration surrounding the commencement date, 1884. In 1915, the firm of Parish & Schroeder renovated the three lower stories at the rear for an enlarged gymnasium, new shower and locker room, and a swimming pool. The YMCA left the building in 1932, and it has since become studio/residential space for artists, many of whom are world renowned, and it houses a teaching and meditation center for a community of Tibetan Buddhists. 227 BOWERY — BOWERY MISSION: Landmarked in 2012! 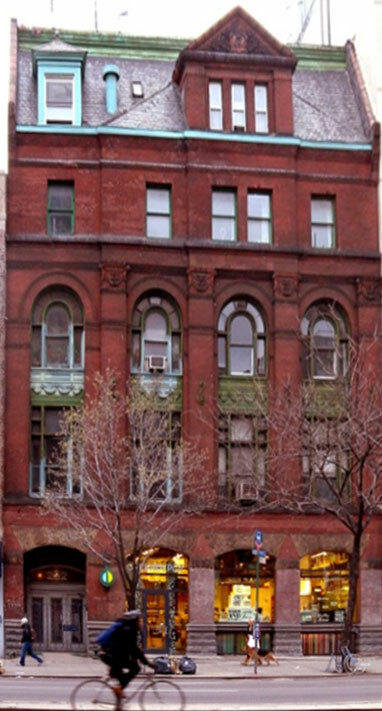 This 1876, five-story, red-brick, Neo-Grec, former coffin factory, designed by architect William Jose, has housed the Bowery Mission since 1909. Previously located at 105 Bowery, a disastrous fire in 1898 motivated the Mission to create a building that was as fireproof as possible. Alterations of 1908-1909 by Marshall L. & Henry G. Emery ensured that all the wood of the chapel was covered up to the ceiling and all the door and window casements were covered with metal. The floors were steel and concrete with tile coverings. Dedicated on November 7, 1909, the new chapel features light colored walls embellished with verses and a high vaulted ceiling. Dominating the Tudor-Revival façade, designed by Henry G. Emery in 1908-09 to suggest a welcoming English inn, is a wide bay projecting above the arched entrance and containing four stained-glass windows illustrating the parable of the Return of the Prodigal Son. The design of these windows, that light the chapel, is attributed to Benjamin Sellers, who trained at the Tiffany Studios. A 2001 renovation by architects Diffendale & Kubec included restoration of the interior of the Gothic Revival chapel. The intricate 26-foot-high truss ceiling was repainted, men living at the mission refinished the pews and the stained-glass windows were restored by Shenandoah, Inc. The Bowery Mission, opened by Reverend and Mrs. A.G. Ruliffson at 36 Bowery in 1879, is the third rescue mission established in America. In 1909, the year the mission opened at 227 Bowery, President William Howard Taft made a nighttime visit to the mission, entering through a rear door in Freeman Alley where the breadline formed. He gave a rousing talk in the chapel to an enthusiastic crowd that spilled out to the street. Franny Crosby, the blind poet and hymn writer who is credited with composing more than 9,000 sacred songs during her lifetime—including “The Rescue Band,” celebrating the mission movement — wrote and sang hundreds of her hymns at the Bowery Mission. 330 Bowery: Landmarked in 1967! 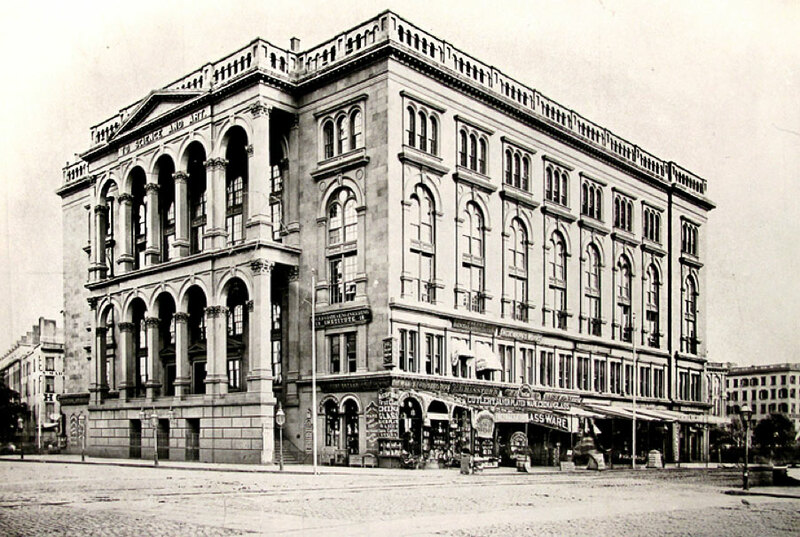 The Bond Street Savings Bank, completed in 1874, became the German Exchange Bank by 1879, catering to the growing German population in this area, which became known as Kleindeutschland (Little Germany). Although the facades of this Italianate style building are all cast-iron, the intended impression is of a great stone structure with Ionic columns, ornamental pediments, corners braced by quoining and cornices on every floor. In 1963, Honey Waldman and Bruce Becker converted the bank into the Bouwerie Lane Theatre, opening with Frank Langella in Andre Gide’s The Immoralist. 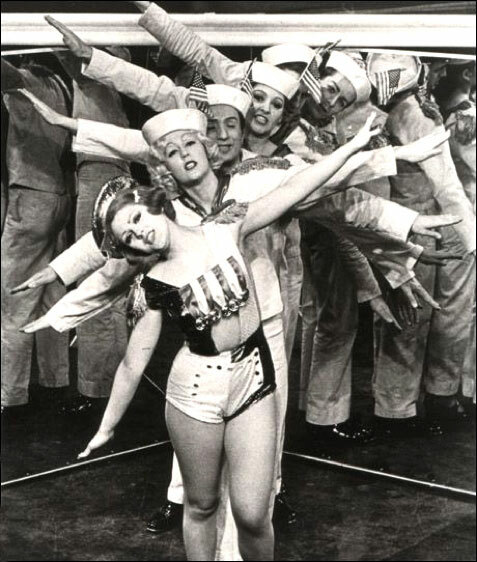 Later productions included The Palm Casino Review, with members of the Cockettes, and Dames at Sea, which made Bernadette Peters a star. 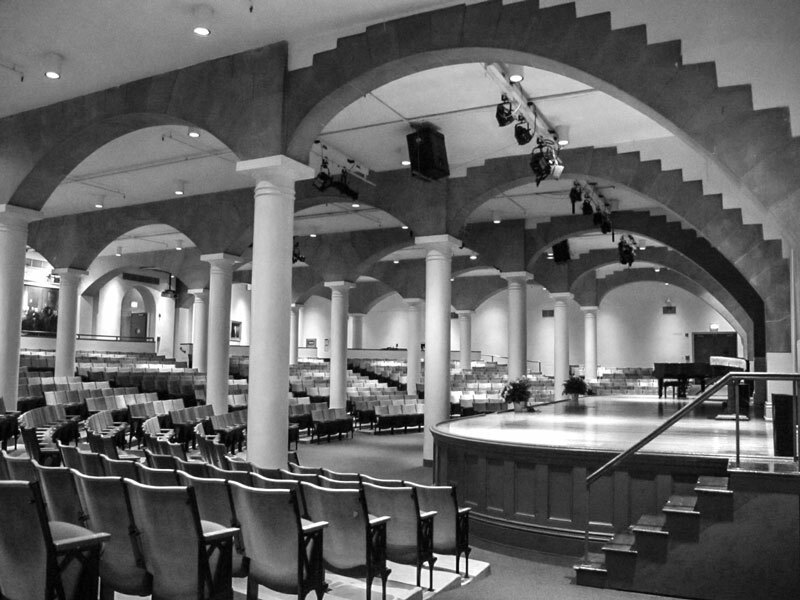 From 1974 to 2006, this was home to the Obie Award-winning Jean Cocteau Repertory Company, whose over 200 productions included premieres of the Bentley/Milhaud version of Brecht’s Mother Courage and Something Cloudy, Something Clear, Tennessee Williams’ last play to premiere in NYC during his lifetime. A NYC Landmark, in 2007 it was converted to retail spaces and condominiums. — Mitchell Grubler, Landmarks Committee Chair, Bowery Alliance of Neighbors Written for Windows on the Bowery, a 2016 historic signage project. The Bouwerie Lane Theatre productions included The Palm Casino Review, with members of the Cockettes. 357 Bowery – Germania Fire Insurance Building: Landmarked in 2010! Designed by a prominent German-American architect and built in 1870, the Germania Fire Insurance Company Bowery Building recalls the time when the Bowery was a major thoroughfare of America’s leading German-American neighborhood. Known as Kleindeutschland, this neighborhood was home to hundreds of thousands of New Yorkers of German descent, and was “in fullest bloom” when this building opened. The Germania Fire Insurance Company was founded in 1859, counting many prominent German-born New Yorkers among its executives and directors; the firm was prospering when it constructed this building to house its Kleindeutschland office, although it moved this office farther up the Bowery after little more than a decade. The building housed tenants from the time of its opening, and by 1880, its residents included Irish, German, andChinese immigrants. Between 1900 and 1920, industrial tenants displaced its residents, and in 1929, the building was purchased by members of two families who manufactured barber-shop and beauty-parlor equipment in the building into the early 1970s. Residents started returning by the mid-1970s, and today, the building is entirely residential. Cooper Union Foundation Building: Landmarked in 1966! 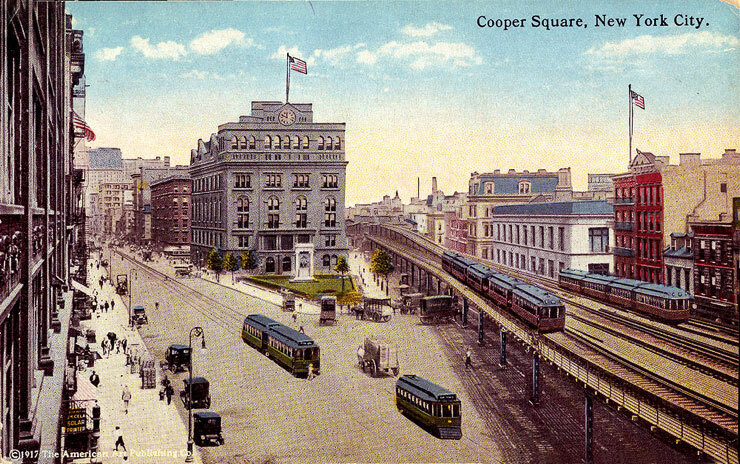 59-61 Cooper Square – Metropolitan Savings Bank: Landmarked in 1969! Most of west Bowery above Houston is protected by the North of Houston Historic District, including west side of Cooper Square.